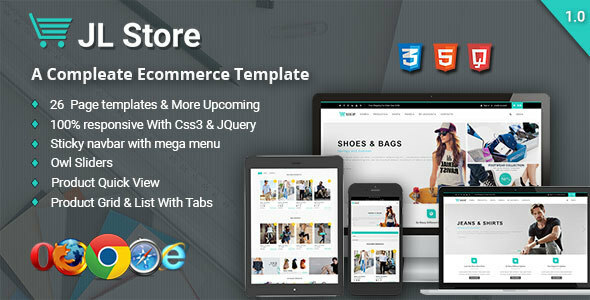 JL Store Multipurpose Responsive eCommerce HTML5 Template Based on Bootstrap 3.3 version, 25+ HTML Pages included also have many features. Note: Images used in demo is for preview purpose only. Images or photos are not included in the download.